Buyers are flocking to seaside condominiums these days. 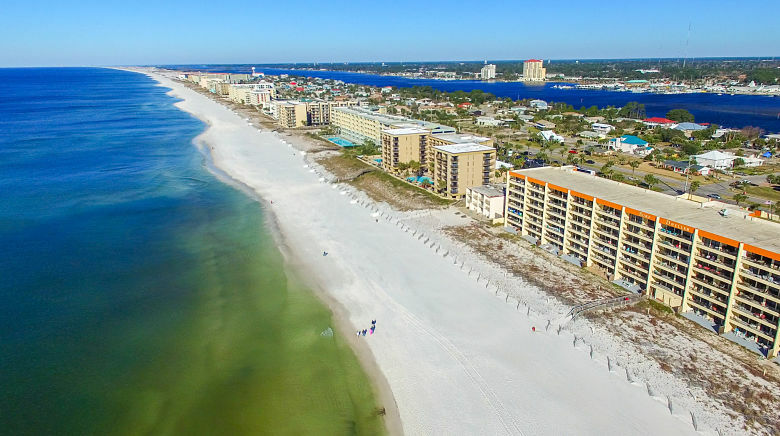 With the current tax incentives, mortgage options and surplus of property along the coast, Panama City Beach Condo's are attracting buyers from all over. If you are one of those interested in living the "Jimmy Buffett lifestyle", here are a few things you should know in advance to wash away the waterfront buying woes. We also have some tips for buying a condo for you. Getting prequalified for a loan is the best practice in today's competitive real estate market no matter where you are buying. As a waterfront condominium buyer, you want to be in the best position if faced with competing with multiple offers. Another reason is that many waterfront properties fall into the higher priced market. Lenders who lend in the higher priced, "Jumbo" market are going to only lend to the "very qualified" of applicants. Knowing your budget, and what you qualify for will aide you and your REALTOR® as you shop for your coastal paradise. The best advice in waterfront buying today is using a REALTOR® who specializes in waterfront condominium living, such as Chad Miller, REALTOR®, with Berkshire Hathaway Home Services, Beach Properties of Florida. You want a professional who is knowledgeable in not just condominiums, but the waterfront aspect as well. Many condo's may appear to be perfect for you but have restrictions or lack thereof that do not interest you. Do you have access to boat mooring? Are there any pending assessments? Plus, many other questions that a only a REALTOR® who specializes in waterfront condominium living may be able to answer. There are many factors to consider in waterfront buying, that you will not want to discover at the closing table. Buyers in the Majestic Towers Condominium development know that location means everything. The Majestic Towers is an example of a condominium development that is perfectly situated near all the amenities needed to live the perfect "Beach Life". Shopping and dining of all types is located within minutes of stepping outside of the complex. Finding a property that matches your lifestyle is crucial in the long run. Only you know what you want near, or not so near to your seaside escape. Shopping, dining and health care are all services to consider. The most beautiful waterfront condo in Panama City Beach may be sitting too far from shopping for your lifestyle. If you locate the most wonderful deal online, but only to find it is an hour or longer drive to catch fish, and you are an avid angler, that would not fit your lifestyle. When considering a waterfront condo, but sure to look out from the unit a full 180 degrees. You may love the interior, and the complex may be near amenities, but check the view. You do not want to discover after moving in that the ocean view you dreamed of is a "stretch". Literally, that you have to stretch beyond the exterior of the neighboring unit to see the first breaking wave. Another thing to consider is the proximity to the condo's amenities, such as the swimming pool, parking & tennis courts. Insurance rates are rising annually. To insure a waterfront property you may be required to have more than one type of policy, and/or additional riders to your policy. Wind, Flood & Hurricane policies are something to inquire about. A policy for a beachfront home versus being part of a condominium complex will vary in price as well. Look into this early on, while getting pre-qualified, and factor that cost into your monthly payment. Finally, be sure and read the Homeowners Association Covenants front to back. If you want to make any changes to your property, the changes will most likely need to be approved by the association. Check for restrictions on activities allowed such as water craft, fishing and times that the common areas may be used by you & your guests. Speak with other condo owners in the complex to get a good feel of how organized the homeowners association is. The neighbors are always a great resource if they have encountered any issues with the complex or association themselves. Ready To Talk To A Condo Specialist?